When considering design in this way, it comes as less of a shock that designers are a natural fit for marketing companies. However, not all clients see things this way. Some clients think that in order to receive the best work, you should always work with a company that strictly works in design. Although I have absolutely no doubt that reputable design firms do produce excellent design work, I would caution clients against this type of thinking. You see, design – specifically web design – is not just about design anymore. It’s also about being user-friendly, search engine friendly, and focusing on conversions. Typically, these aspects take more than just a design firm to perfect. If you’re looking for a design that looks great and actually performs, then working with a marketing firm and their in-house design team may be your best bet. But some people need a bit more convincing than that. In this week’s article, I’ll discuss how to turn your happy marketing clients into happy design clients. A few weeks ago, I wrote an article in which I mentioned that developing a thick skin could help you in nearly any profession, especially design. In addition to preparing yourself for client feedback and opinions, you need to remind yourself not to get defensive. Just because a client is skeptical about your design capabilities doesn’t mean that you can’t prove yourself worthy of his or her time and money. As always, the first step in demonstrating your abilities is to understand exactly what the client wants and needs, who the target audience is, and what the problems are with the current site. The best way to do this is to set up a meeting, in person or by phone/chat, and let the client talk. Your job in this meeting is to simply listen. You can offer solutions and ideas if you have them, but this meeting is more for you to gain an understanding than anything else. During this meeting, encourage the client to give examples from the current site, competitors’ sites, or completely unrelated sites. These examples can demonstrate things that the client likes or dislikes. Take copious notes. When the meeting is over, be sure to post a recap and have the client edit/confirm all details. If there is anything missing, your client has the opportunity to add it or correct you from the beginning. This will save you time and confusion in the future. Remember, your client doesn’t quite trust your skills yet so it is absolutely critical that you present yourself as an expert. This involves several things – dressing the part, delivering on time, speaking knowledgeably about the subject, and most importantly, telling the client what they need to know. This last part is very important because it is a way to truly establish yourself as a professional. Amateur designers have a bad habit of saying yes to whatever the client asks, rather than educating them to commit to the best results. Speak honestly and knowledgeably about the project, your concepts, concerns, and limitations. It is far better to establish this relationship in the beginning than halfway through the project. By discussing this from the get-go, your client will learn to trust your opinion and skills. When trying to convince a current marketing client that it’s time to redesign you can usually afford to take chances. If you are confident that you can change a doubter into a believer, then do a mockup or two for free. It will show that you care about the client and his or her wellbeing, and demonstrate that you have the skills necessary to completely the project successfully. If all goes well, the “free sample” will lead to a project or two. Now that you’re client is onboard with the free sample idea, it is important that you present the mockup(s) professionally. Go all out. Don’t just give them a homepage mockup and call it a day. Show them how you’d like the homepage to look, as well as an inner page, and demonstrate how hover effects or specific functionalities will work. Don’t forget to explain your reasoning behind your decisions. Help the client understand just how much thought went into your work thus far. In addition to the actual presentation, there are a few things that can help convince even the most hesitant client that you’re right for the job. Firstly, be organized and on time. Do not miss your deadlines and don’t show sloppy work. Give yourself plenty of time to research, design, and prepare your presentation. Another way to convince your clients is to show them work you’ve done for others and provide references. Gaining a client isn’t that much different from interviewing with a potential employer. 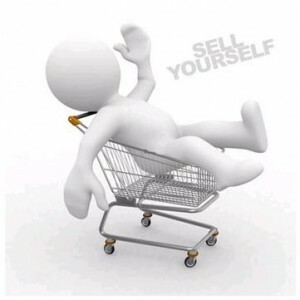 You need to sell yourself and your work, and sometimes the best way to do that is to let someone else do the talking. Getting your clients on your side is only half the battle. Once they’ve learned to trust you, it is important to follow through with the project and deliver everything you’ve promised. You can do this by keeping the notes from all your meetings and continuing to communicate with your client. Also, be sure to give yourself plenty of time so you continue to meet all deadlines. Just as it is important to establish yourself as an expert by convincing your client you know what’s best, is admitting that you’re human and that there could be better solutions. How do you do this gracefully? Usability testing, of course! At Optimum7, when a site is launched, we set a reminder for 90 days later to suggest usability testing to our clients. This gives us enough time to review the site and work out any obvious kinks on our own before we send it to be tested. It also can’t hurt to mention this as part of your process early on, so it doesn’t come a shock to your client down the line. Not every client is going to trust your ability right away; every once in a while it will take some convincing. By following the tips above, I think that you’ll find many of your doubtful marketing clients becoming testimonial-wielding design clients. Looking for a web designer with an excellent marketing team in her arsenal? Contact Optimum7 today for a free consultation.